The dental professionals at Markham Gate Dental Centre are proud to offer some of the most innovative services in the dental industry. Here, we use Diagnodent, a technology that uses a small laser to help us diagnose decay earlier than ever before. While X-rays can be invaluable in helping us diagnose decay, their use in detecting beginning decay on the chewing surface is limited. With traditional diagnostic techniques, the explorer (that's the thing with the point on it that everyone's afraid of) is too large to fit into the small grooves to give us a tactile sense of whether decay exists or not. The laser tip of the Diagnodent allows us to see a digital readout quantifying the amount of decay which may be present. The value of diagnosing decay early cannot be overestimated! With early detection, treatment can be less invasive and more comfortable than ever before. In most cases, early diagnosis of decay on the chewing surface of a tooth allows us to repair the decay without anaesthetic or without drilling! As an alternative to dental drills, we also use air abrasion (or “micro abrasion”) technology. This technology uses a combination of high-pressure air and a safe, non-toxic abrasive, in a device not unlike a miniature sandblaster, to drill or otherwise prepare a tooth for a restoration such as a filling. Air abrasion lets us work on teeth with less vibration and discomfort than traditional drills, and it is also useful for removing stains, chips and discolouration from your teeth. The abrasive particles are rinsed away when we rinse your mouth. Depending on the progression of the decay, we will recommend your best treatment. 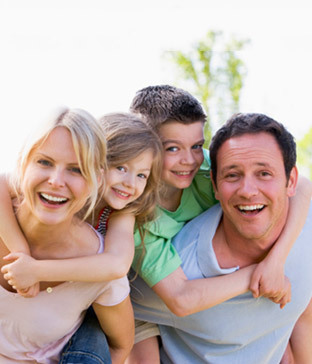 At Markham Gate Dental Centre, we will always discuss your options with you before proceeding with treatment. We like composite/resin fillings for their natural appearance and the near perfect colour match we can get with your teeth. Composite fillings also bond better to your teeth, helping to restore your tooth's natural strength. Our recommendation is when the old silver filling needs to be replaced, it’s a good time to replace all restorations in that arch. The difference between an arch with silver fillings and an arch with white bonded filling replacements is remarkable! Your smile will immediately brighten up with the gray silver fillings being removed. 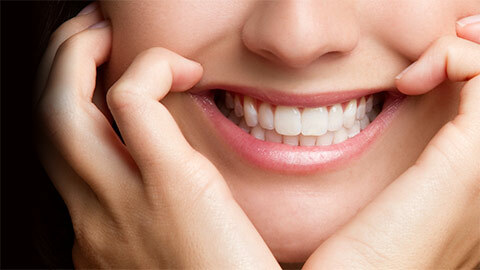 A crown may be the best course of action if a tooth already contains several fillings or has a large amount of decay. With this treatment, we cap your tooth, giving it protection and making it stronger. If the damage to your tooth progresses to the nerve, you may require a root canal. For this, we remove the damaged nerve and fill the space with new material, which allows you to keep your natural tooth. Your dentist may also place a crown on the tooth to keep it strong, as the tooth no longer has a nerve to provide its blood supply and may be more susceptible to chipping or cracking. If your tooth is badly decayed, we might suggest removing the infected tooth and providing you with a bridge. We’ll reduce the size of the teeth adjacent to the missing tooth, so the bridge can use these teeth as supports for an artificial tooth in the middle. If a badly decayed tooth needs to be removed, we may suggest a dental implant. 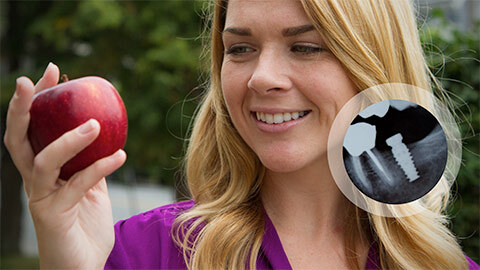 Dental implants are considered to be the closest solution to having a strong, healthy natural tooth. They make it easier for the patient to smile, speak and eat with comfort and confidence. Visit Markham Gate Dental Centre today to learn more about our general restoration services. Q: How many appointments are required for a crown restoration? A: It generally takes two appointments for us to place a crown for you. Initially, we will prepare your tooth, and take an impression. Once your crown is ready, you will return and we attach your new, custom crown. Q: How long does a dental restoration last? A: With proper care and maintenance, like positive brushing and flossing habits, your restoration should stand the test of time. Ultimately though, it is different for every patient. It is always possible that future restorations will be required at some point. Please ask us to explain more at your next appointment. Q: What if I choose to do nothing about my missing tooth/teeth? A: Shifting can occur if there are gaps in your smile. Over time, missing teeth can result in a change in the shape of your mouth. Absent teeth could also allow food and bacteria to become trapped more easily within your mouth, which can cause additional decay. Ask us at Markham Gate Dental Centre about how a bridge or a dental implant can replace a missing tooth. 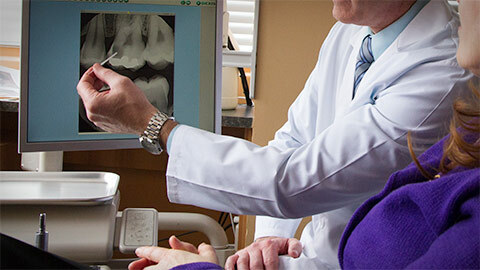 Q: Does my dental insurance cover all of my options -- a filling, a crown, a root canal, a bridge, or a dental implant? A: As with any treatment, the cost depends on your coverage. The friendly reception staff of Markham Gate Dental Centre would be happy to help you understand your available coverage.